DALLAS, Aug 31, 2012/ — Well within the Arctic Circle, the Finnish Lapland covers 100,000 square kilometers with the human population much less than those 200,000 reindeers who have been living up here before mankind. This is where DuohtaVuohta, was born. Founded by Wille Rajala, a native Laplander in 2008, DuohtaVuohta means “truth” in Sàmi, the native language of the Lapland. Rajala, who spent 15 years in the international snowboard circuit and 8 years with various companies returned to his roots in Lapland with plans to promote the Lappish culture by working with traditional craftsmen. The result, DuohtaVuohta or DV for short, as what the label’s fans fondly call this unique and luxurious label. Considered as an ecological luxury brand, DV only uses natural sustainable materials. The collection is handmade yet with sartorial qualities. 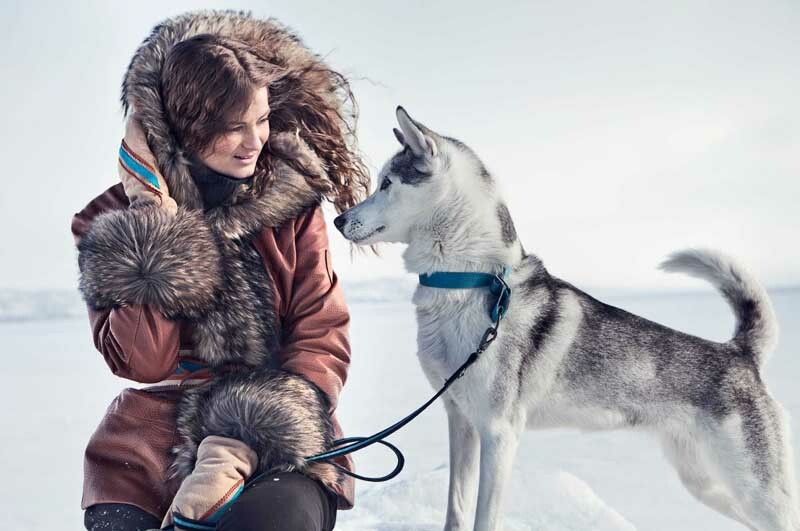 Materials such as reindeer leather and natural furs ensure pleasant comfort and a long lifespan. Nordic reindeer leather is one of the most luxurious and lightest leather in the world. What? It’s made from reindeer leather? How can someone slaughter Rudolph so that they can have something luxurious to wear? Contrary to popular belief, hunting, if done responsibly, helps sustain wildlife population. In harsh environments like the Lapland, thinning the herd is a fact of life. There is only a finite amount of food available during the winter time and it can only sustain a certain number of reindeers. If there are too many, nature will take its course. Survival of the fittest rules and usually the youngest animals die or killed by the stronger members of the herd. Thus, native Laplanders who had been in tune with the land since time immemorial will never break the rule of the land. This is also the reason why DV only works with local artisans. The furs used by DV are wild animals’ furs provided directly from local hunters who respect the government imposed hunting quotas. And because only a finite number of reindeers are hunted each year, its leather is highly prized, not only due to its pure texture and softness but also due to its very limited availability. All products are made by artisans working for us privately. Factory is located together with product development and marketing all in one place. We employ mostly local people and try to encourage them to continue artisan culture in Lapland. Inspiration for design comes from the Lappish culture with the hints of traditional costumes as well the four strong and magnificent periods of season. A small collection from the natural materials, with perfect fitting and no compromises with the quality is the way we produce our products.